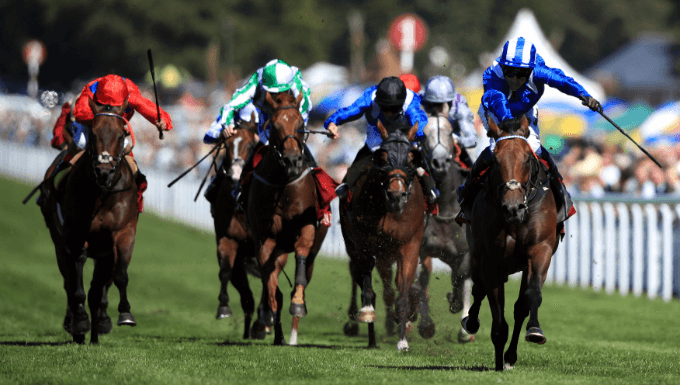 Nunthorpe Stakes 2018 Betting Tips: Might 50/1 Alpha Shock? Some of the fastest horses in Europe are set to do battle this Friday in the Group 1 Coolmore Nunthorpe Stakes, on the penultimate day of the Yorkshire Ebor Festival. What is the Nunthorpe Stakes? First held in 1922, the Nunthorpe Stakes is a Group 1 race, run at York over the minimum horse racing distance of 5f. It is worth £350,000 and has been won by greats such as Mumtaz Mahal, Abernant, Lochsong, and more recently Sole Power, Oasis Dream, and the Australian mare Ortensia. The winner of the 2018 Nunthorpe Stakes earns an automatic invitation to compete in the 2018 Breeders Cup Turf Sprint at Churchill Downs in November. Last year’s fourth Battaash has impressed in this division this season, winning two out of his three starts, including victory in the Group 2 King George Stakes at Goodwood (good to firm) earlier this month. The four-year-old impressed that day, pulling four lengths clear of a field that included six of his Nunthorpe Stakes rivals. He rounded off last season with a first Group 1 win in the Prix de l’Abbaye at Chantilly and looks a very worthy favourite at no bigger than 8/11 to win with online betting site Betway. Distant second favourite is Godolphin-owned four-year-old Blue Point, who finished a head second in a 5f Group 2 in Dubai last February, prior to a disappointing effort in a 6f Group 1 at Sha Tin in Hong Kong two months later. The Charlie Appleby-trained colt put that effort behind him when seeing off Battaash by nearly two lengths in the prestigious Group 1 Kings’s Stand Stakes at Royal Ascot (good to firm) in June, but again disappointed over 6f in last month’s July Cup at Newmarket (good to firm). While he has had just two runs over the minimum distance, they represent his best efforts and he looks a solid each-way bet at the top price of 5/1 for the Nunthorpe Stakes with Ladbrokes. Discounting Sole Power in 2014, fillies and mares have won the Nunthorpe Stakes every year since 2011. This trend becomes stronger when considering there was no female in Sole Power’s race, and that the fillies and mares that won the sprint, have often run well beyond their rating. 2013 winner Jwala is a perfect example: the four-year-old had an official rating 17lbs inferior to 3/1f favourite Shea Shea, but beat him by half a length, Sole Power finishing third. She was 40/1 in the Nunthorpe Stakes betting that day. The leading female contender in 2018 is Mabs Cross, who finished third behind Blue Point and Battaash at Royal Ascot. The four-year-old had won a Group 3 over 5f on good ground on Guineas weekend at Newmarket, and would be dangerous to write off. Trainer Michael Dods has his horses in good form (7/33 at the time of writing) late into the summer and knows what it takes to win this contest, having won it with the filly Mecca’s Angel in 2015 and 2016. Mabs Cross is a generous 16/1 to win the Nunthorpe Stakes with 888Sport, while the race’s only other female contender, Heartache, is a general 40/1 chance, having failed to build on a noteworthy two-year-old season. No three-year-old has won this contest since Sole Power’s first victory in 2011, though 18 have tried. Six line up this year, with the betting finding it hard to split the top duo: Havana Grey and Sioux Nation. Havana Grey won a Group 2 over 5f at the Curragh earlier this season, but was only sixth behind Battaash last time out. Sioux Nation won a Group 3 in the spring and finished fifth in the 6f July Cup last month, but beat one horse home dropped back to 5f behind Battaash at Goodwood. He wears blinkers for the first time on Friday. Fancy A Huge Each-Way Bet? He ran creditably in a Group 2 over 5f at Haydock last year too, and is also a course and distance winner. Likely to attempt to make all the running, he might well outperform his odds of 50/1 with Coral. King George Stakes second Take Cover, who before Battaash came along had won that Goodwood race twice, is another to ponder. His best chance of beating Battaash was that day on his favourite track, but he still ran well and the 14-time-winning 11-year-old can’t be ruled out entirely at 25/1 with Paddy Power.